I absolutely love the aroma of apples baking in the oven. With just fifteen minutes of prep work, you can have the Best Ever Baked Apple for dessert tonight. This is truly a healthy, simple and quick dessert. Every fall, I am reminded how great apples are. 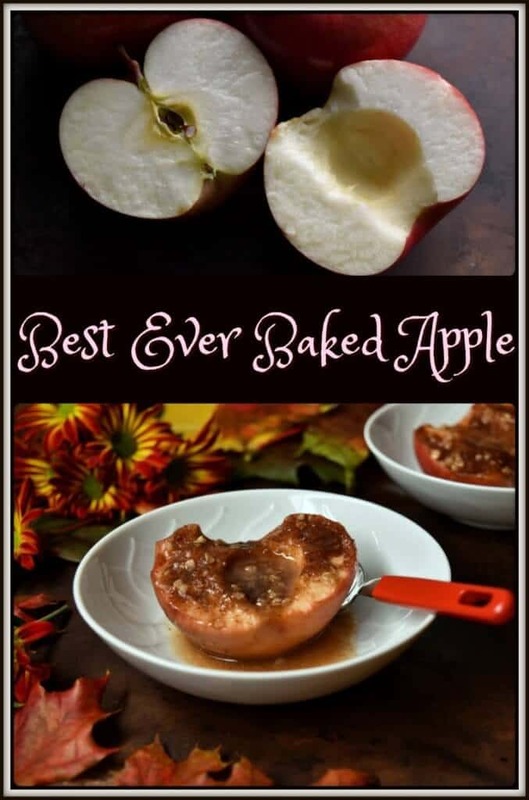 If you still have some apples left from your apple picking excursion, you really should try this Best Ever Baked Apple recipe. If you find this recipe to be a little too simple, there are many variations that can adapted to make it your own signature baked apple dish. You can try experimenting with different spices. Nutmeg, allspice, and ginger all pair well with apples and cinnamon. If you prefer, you can add some nuts (I like slivered almonds and walnuts). Don’t forget about the dried raisins or currants. Any combination of the above listed add-ons work. It’s only a question of taste. You can even add some vanilla extract or some dark rhum. When I was a teenager, my Mom would often make baked apples in the fall. Her recipe was basically to sprinkle some brown sugar and cinnamon on the apples. When I started making baked apples for my own kids, I used a streusal topping. 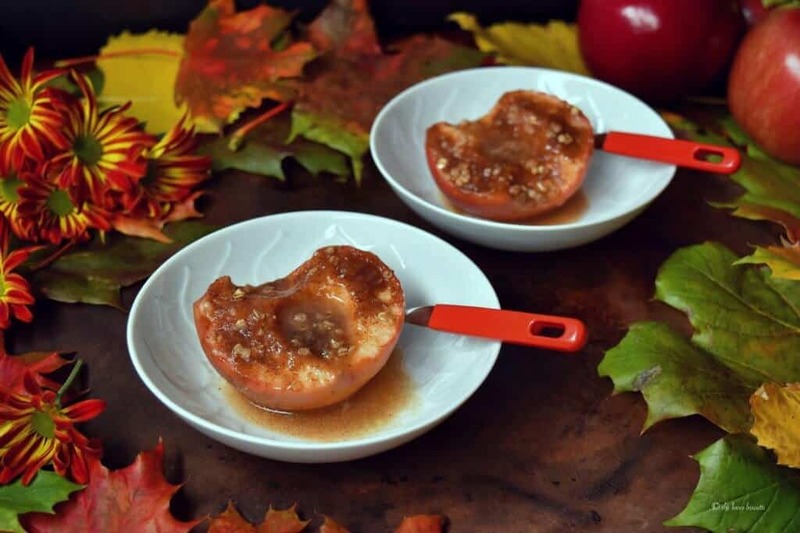 My daughter suggested cutting the apples in half, instead of coring them, in order to have the caramelized topping in every bite. Brilliant. 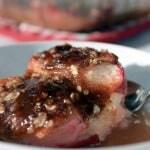 Cored or sliced in half, this recipe for the Best Ever Baked Apple is always a treat to have. Happy fall! 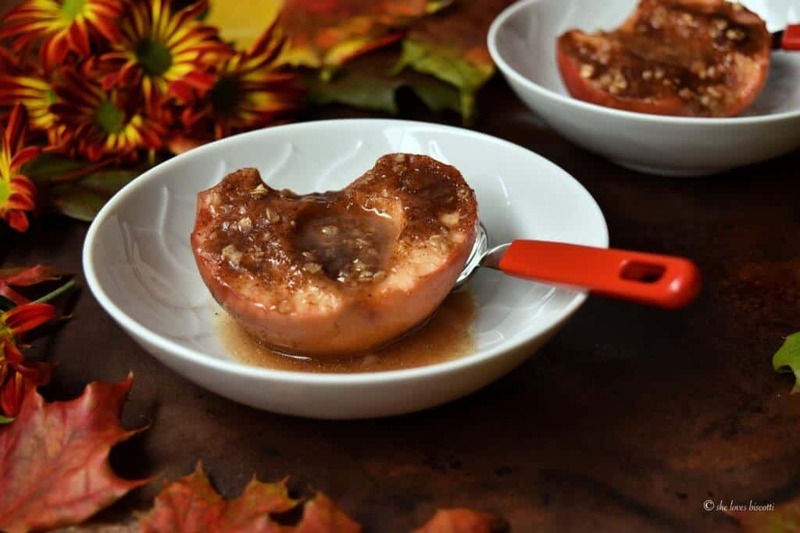 This best ever baked apple recipe is a quick and simple fall dessert. Your whole kitchen will be filled with the scent of baked apples. In a small bowl, combine the brown sugar, flour, oats, cinnamon and nutmeg. Set aside. Cut apples in half (see note). Remove seeds and core with melon baller or spoon. Pour hot water, vanilla (if using) and rhum (if using) in bottom of the pan. Place apple halves in a baking dish and sprinkle tops with the mixture. Top each apple with 1/6 tablespoon of butter. 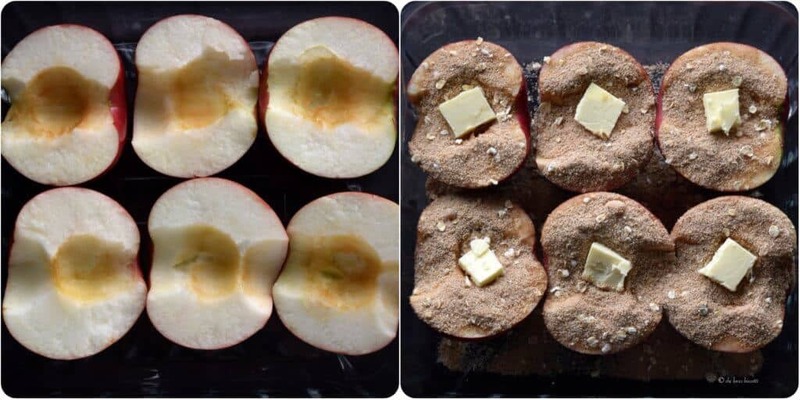 Bake uncovered for 25-30 minutes or until you can pierce the apples easily with a fork. Baste occasionally with infused water. Alternately, you can core the apples and spoon the mixture in the hollowed out cavity. Increase bake time to 45 minutes. Remember to score apples 1/4 inch from the top. 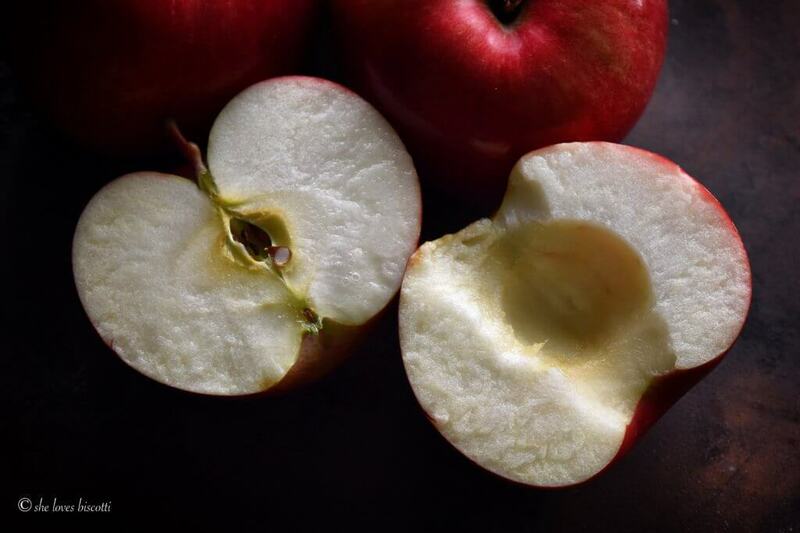 Make one complete incision around the apple. (This allows the apple to expand while baking. A simple and healthy dessert…I love it!